9,038 pages of the Harrison - Bundy Files relating to the development of the atomic bomb, copied from material held at the National Archives. George L. Harrison and Harvey H. Bundy were two special assistants to Secretary of War Henry L. Stimson. The Harrison-Bundy Files, also known as the Arneson Files, document the Army's role in the development and production of nuclear weapons. The files date from 1940 to 1950, with most documents dating from 1942 to 1946. Harrison and Bundy served as liaisons between Stimson, Brig. Gen. Leslie R. Groves of the Army Corps of Engineers, and other officials participating in the Manhattan Engineer District Project. 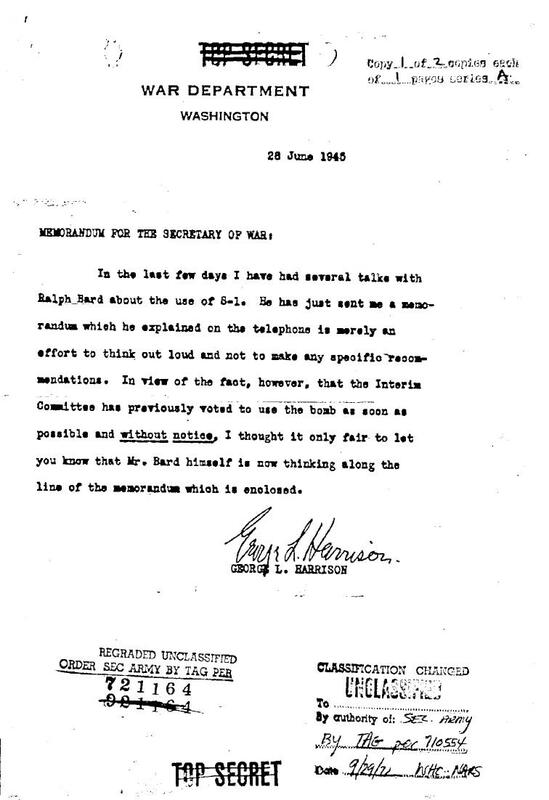 Harrison was a special consultant to the Secretary of War from 1943 to 1947 and served as an alternate chairman of the Secretary's Interim Policy Committee on Atomic Energy. Bundy was a special assistant to the Secretary of War from April 1941 to September 1945. Capt. R. Gordon Arneson served as administrative secretary to the special assistants and maintained these files. Most of the documents in the Harrison-Bundy Files consist of letters, reports, and memorandums. Other types of records include: messages; telegrams; directives; notes; minutes and agenda of meetings; histories; draft and published copies of speeches, press releases, legislation, and international agreements; petitions; maps and charts; receipts for documents; and miscellaneous printed material. The correspondence is primarily either to or from the following officials: the Secretary of War and his special assistants; the Under Secretary of War; and General Groves and his principal subordinates. Among the correspondents included: top-level Government officials in the White House and Departments of State, Interior, Justice, and Commerce; officials in OSRD, particularly Office of Scientific Research and Development (OSRD) Chairman Vannevar Bush and National Defense Research Committee (NDRC) head James B. Conant; prominent Senators and Congressmen; British and Canadian officials, including the prime ministers, ambassadors, and lower echelon civilian and military representatives involved with nuclear policy and development; U.S. military officials from the Office of the Army Chief of Staff, Offices of Chief of Engineers and Ordnance, Army Service Forces, and War Production Board; scientists and scientific organizations; and officials from private industry and labor. 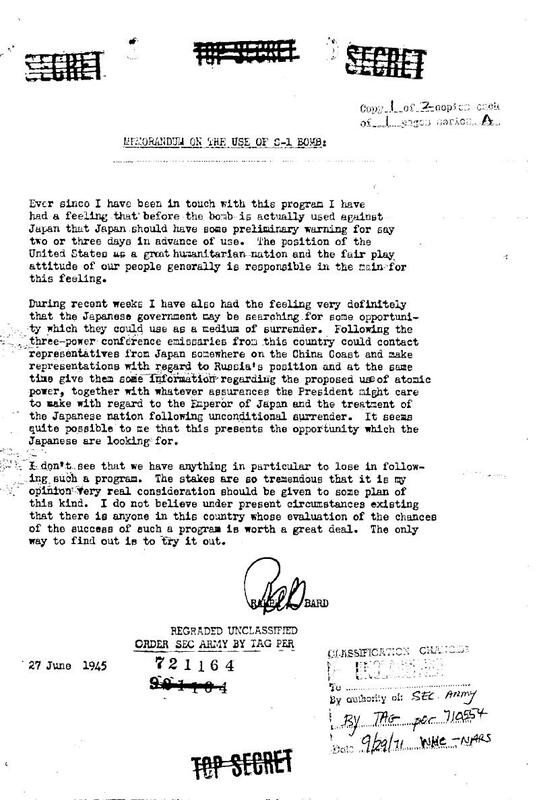 The subject matter of the correspondence relates to such matters as: technical, scientific, and fiscal problems; relations with allied powers in nuclear matters, including U.S. involvement in international agreements and accords, such as the Quebec Agreement of August 19, 1943, and the Combined Development Trust of June 13, 1944; relations with the Congress, including congressional attempts to investigate the Manhattan Engineer District; dealings with private industry and labor organizations; personnel and security problems; the search for vitally needed natural resources; legislation and plans for postwar development and control of nuclear energy; and official Government policy. 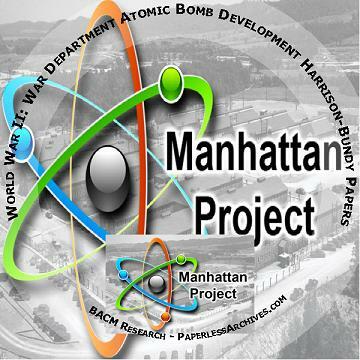 Although created and maintained in the Office of the Secretary of War, these records are now stored in the National Archives among those of the Manhattan Engineer District, which are part of the collection Records of the Office of the Chief of Engineers, Record Group (RG) 77. Secretary of War Stimson maintained custody of the Harrison-Bundy Files until his retirement in September 1945, at which time he transferred them to Groves. Groves subsequently incorporated the files with those records of the Manhattan Engineer District of which he retained custody. When Groves became Chief, Armed Forces Special Weapons Project, he maintained the files in the custody of the Project. This practice was continued during the tenures of his successors, Gen. Kenneth D. Nichols and Gen. Herbert B. Loper. Upon General Loper's retirement, the records were removed to the custody of General Nichols, then Chief, Research and Development, Office of the Army Chief of Staff. When Nichols retired in 1953, the files were transferred to the physical custody of the Adjutant General of the Army, under arrangements made by Groves with the Office of the Army Chief of Staff. In 1958, they were transferred, along with many other Army records, to the custody of the National Archives and Records Service (NARS) in Alexandria, Va. Physical transfer to the National Archives Building, Washington, D.C., was made in 1968. The files in this set are reproduced in the order they are kept at the National Archives. The Harrison-Bundy Files are arranged in 113 folders according to a subject-numeric scheme. The disc contains numerical and alphabetical lists of folder headings. A number of duplicate documents were retained in the files, as noted in the accompanying Armed Forces Special Weapons Project (AFSWP) created lists for the folders. An effort was made to not reproduce in this collection the duplicate copies. Within individual files, documents are arranged in accordance with accompanying descriptive lists prepared by the Armed Forces Special Weapons Project (AFSWP). The lists for each folder are placed at the being of the documents in each folder for use as a finding aid for the documents, which follow. A consolidated collection of lists for all sections has been placed at the beginning of the first section of the collection. In addition to the above, the collection includes a text transcript of an oral interview given by R. Gordon Arneson to the Harry S. Truman Presidential Museum. 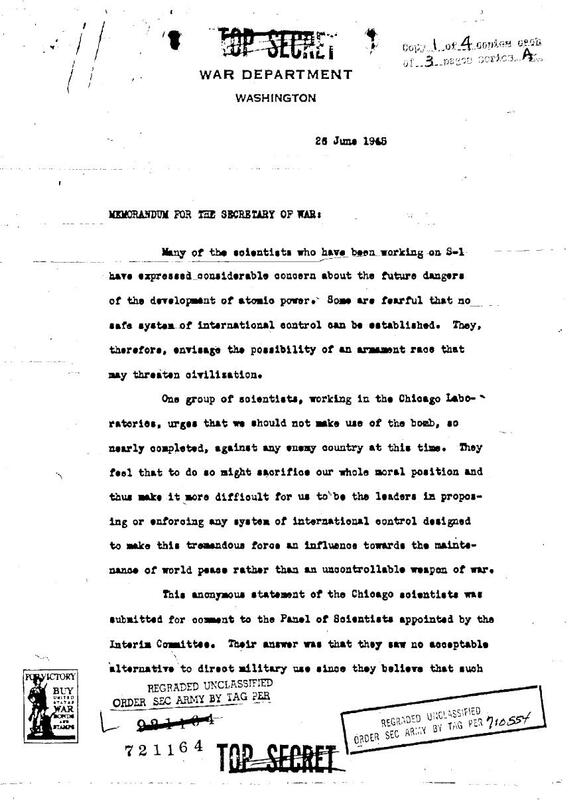 Subjects discussed include the Interim Committee (on atomic energy), press releases on the first use of the atomic bomb against Japan; Truman's note, "Release when ready, but not sooner than August 2;" destruction of the Japanese cyclotron; Potsdam Conference; Baruch plan; Acheson-Lilienthal report; Quebec Agreement; Joint Atomic Energy Committee; U.S. Atomic Energy Commission; Combined Policy Committee; McMahon bill; Atomic Energy Act of 1946; sharing of atomic energy information with Great Britain and Canada; United Nations Atomic Energy Commission; Merck Committee; international control of atomic energy; decision to develop the hydrogen bomb; NSC-68; State Defense Policy Review Group; sources of uranium ore; State Department's Policy Planning Staff; and the announcement of the Soviet Union's first atomic bomb test. 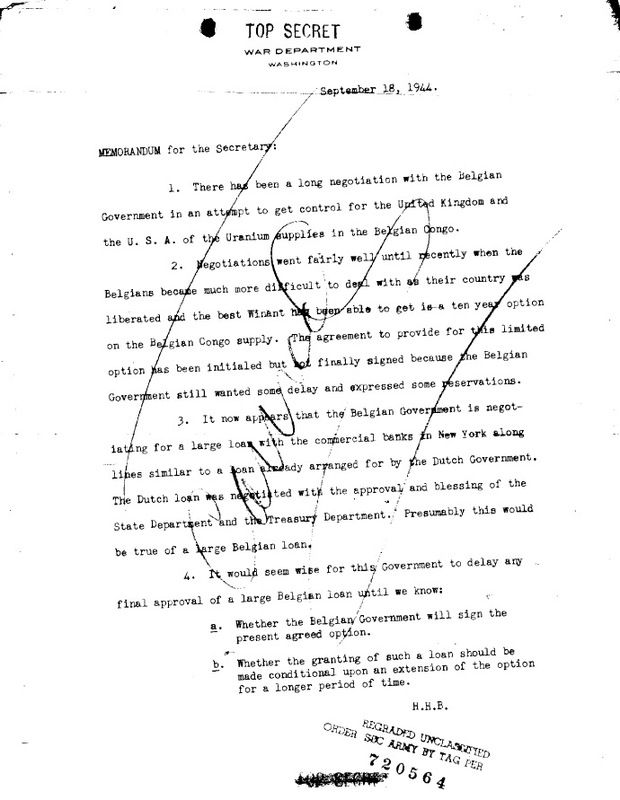 Names mentioned include James Landis, Dillon Anderson, Henry Stimson, Harvey Bundy, George Harrison, Arthur Page, James F. Byrnes, Harry Vaughan, Will Clayton, Paul Van Zeeland, Vannevar Bush, J. Robert Oppenheimer, Clement Attlee, McKinzie King, Cyril Smith, Dean Acheson, Leslie Groves, Lyman Briggs, Joseph Volpe, Bernard Baruch, Ed Gullion, John Hancock, Arthur Vandenberg, Fred Osborn, Andrew G.L. McNaughton, Henry Wallace, Cyril Smith, Lincoln Gordon, Donald Maclean, Charles Darwin, Niels Bohr, David Lilienthal, Paul Nitze, Adrian Fisher, Philip Jessup, Oliver Franks, Harry S. Truman, Robert Lovett, John W. Snyder, Robert Bacher, Lewis Strauss, Bedell Smith, and Robert Cutler. A 1942 newspaper article mentioning that the United States and Germany were working on building an atomic bomb. 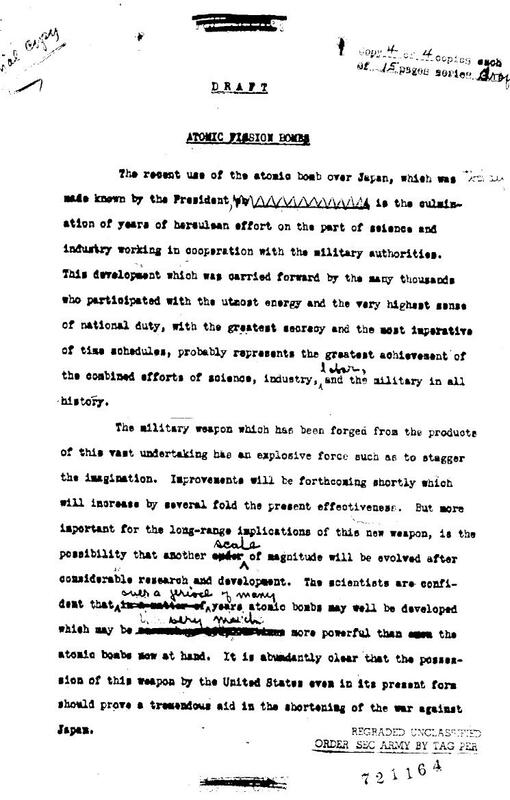 December 23, 1943 Memorandum for the Secretary of War suggesting mentioning to the President that an August report on the S-l project has never been received back from White House with approval and Dr. Bush has further information about the German new weapon and its dangers. 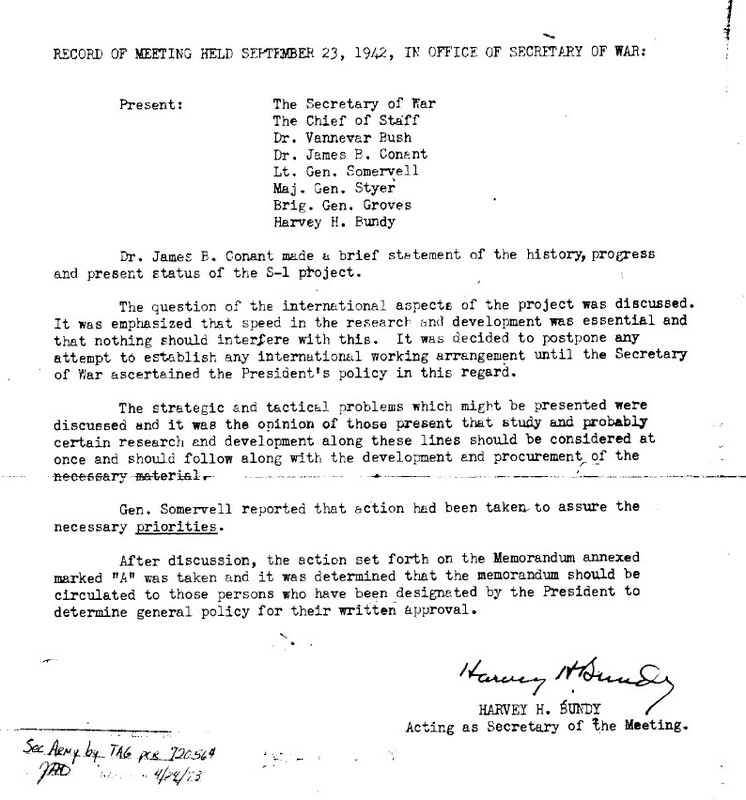 February 15, 1945 memorandum for the Secretary of War concerning the problem in getting necessary funds from Congress for the Manhattan project, recommending discussing with the Congressional group the possibility of sending 2 Senators and 2 Congressmen to principal installations for view of project. August 9, 1945 classified message from the 313th Bomber wing, Tinian to War Department. Account of strike and accompanying airplanes after return to Tinian. Observing plane reported 20 minutes after explosion the southern edge of cloud was tangent to north end of Nagasaki harbor. 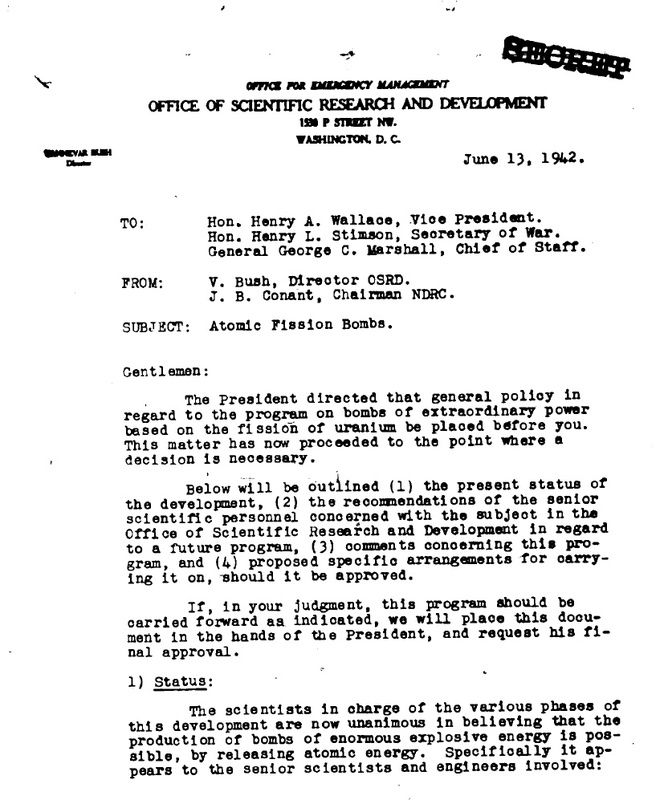 June 13, 1942 memo conveying that scientists in a War Department workgroup were unanimous that an atomic bomb could be built.